Suffolk House Antiques | A wonderful William and Mary oak refectory table. A WONDERFUL WILLIAM AND MARY OAK REFECTORY TABLE. 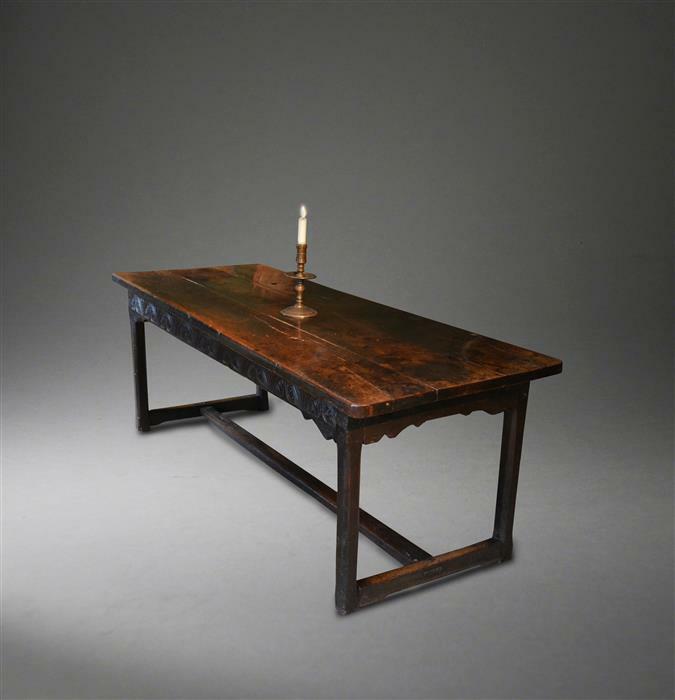 This late 17th century oak refectory table has a stunning lift off three plank top that is nearly two inches thick and has the most wonderful colour and patination. It has fine quality lunette carving to one rail and spandrels to both side and end rails. The legs are chamfered and it has its original H stretchers making it very practical to sit at. It has a good provenance to an East Suffolk manor house. It measures 82 inches long x 31 1/2 inches wide x 29 1/2 inches high. SOLD.